With my blonde hair and blue eyes, I could easily pass for a German. But as soon as I open my mouth and speak English, or even worse, attempt to speak in my very childlike German, it’s immediately apparent that I’m not German but a foreigner in their land. This almost always leads to “Woher kommst du?” (Where are you from?). Of course, I say “Ich komme aus Kanada” and the reaction is almost always the same – it starts with a delighted gasp, followed by a big toothy smile, and “Ohhhhh Canada! I love Canada.” I’m not sure what us Canadians have done to garner such a darling reputation around the world (Justin Trudeau has certainly helped), but like it or not, we’re a universally loved country. As with anyone who chooses expat life, you unwittingly become a sort of informal ambassador for your country. I even spoke on a panel of Canadians at a 150th anniversary celebration here in Berlin on July 1. 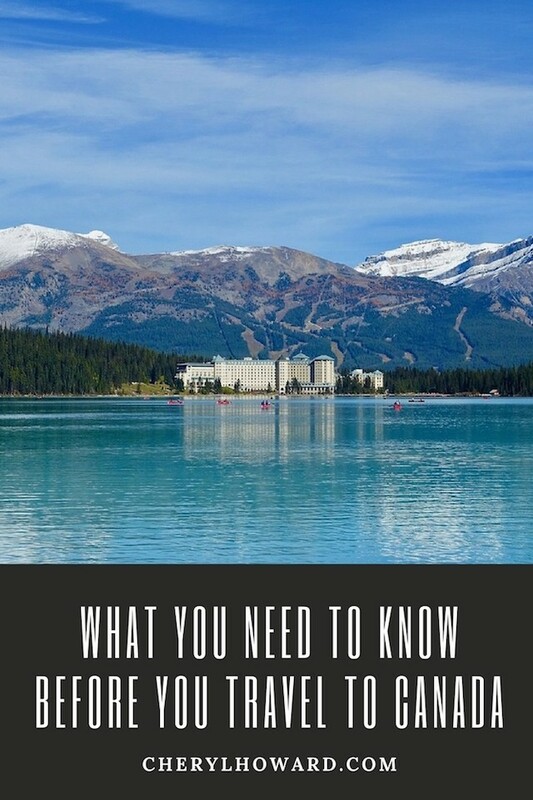 While I could talk for hours about the challenges of living in Canada, such as expensive rents, outrageous tuition fees, high costs of childcare, I thought I’d put together this list of essential things you need to know before you travel to Canada. I hope this guide full of practical tips (and some humorous stories) will help prepare travellers for their first visit to my home and native land. So what are the things you need to know before you travel to Canada? 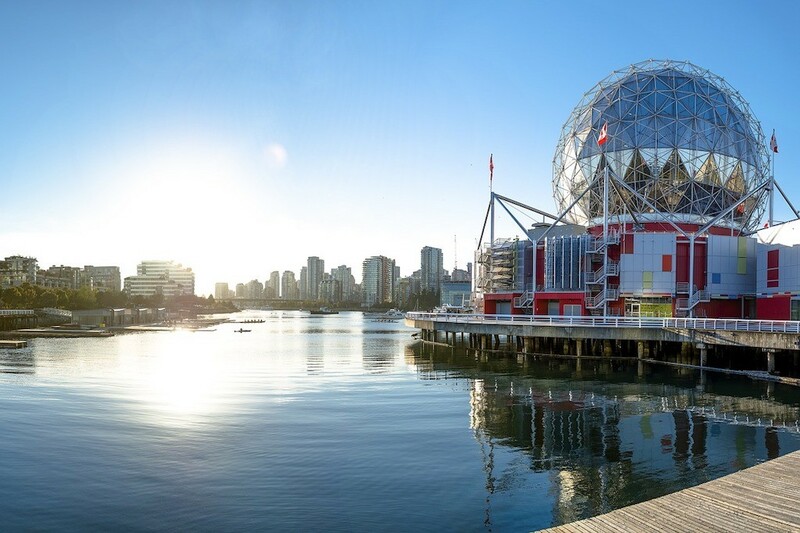 Recommended reading: To see what others think you should know before you travel to Canada, check the Washington Post’s Six things you should know about Canada before making a trip and Correr Es Mi Destino’s 10 Things You Need to Know Before Visiting Canada. 1) Canada is huge. After Russia, Canada’s the second largest country in the world covering 9.9 million square kilometres. 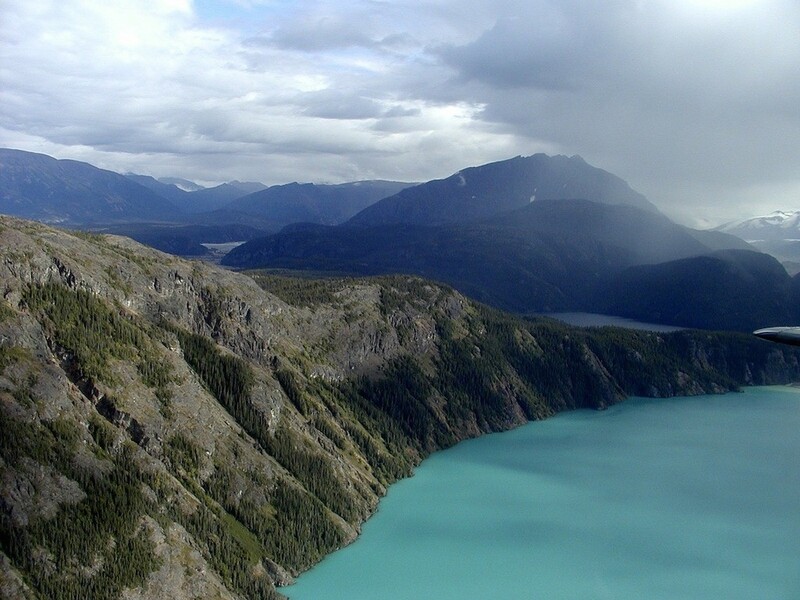 It’s surrounded by three oceans – the Atlantic, Pacific, and Arctic. What does this mean for you as a traveller? It will take a lot of time and money to cover the places you may want to see. Driving from coast to coast would take the better part of a week for example, and that’s if you’re driving straight through and are not planning to stop and enjoy any highlights along the way. On the other hand, while flying may be faster, flights are expensive. When I lived in Toronto, there were times that flights to Europe were cheaper than flights to Vancouver. 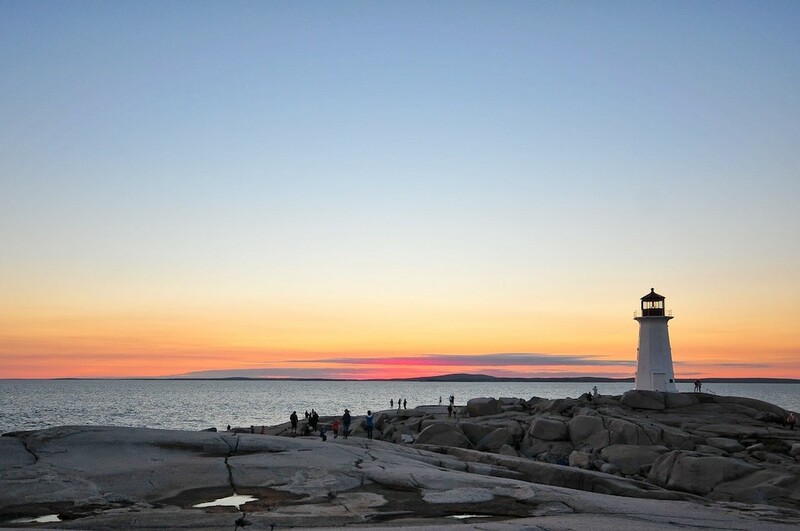 If you only have a limited time to spend in Canada, it’s best to choose a particular region and spend your time there. 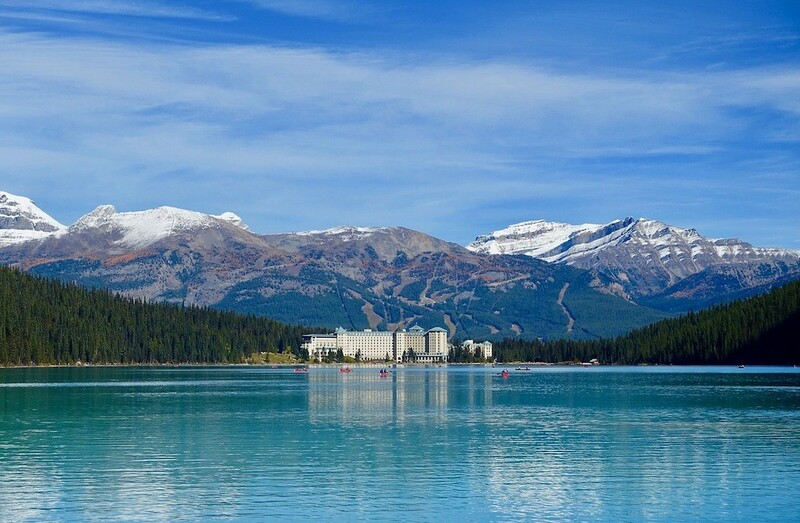 For example, if you want to head to the mountains, you could opt to first do a city break in Vancouver and then make your way to Whistler. 2) While Canada is huge from a geographic perspective, hardly anyone lives there. With a population of just over 36 million people, there’s a lot of vast empty space. The population density is 3.7 people per square kilometre, compared to the United States which boasts 37 people per square kilometre. The majority of Canadians live in cities like Toronto, Vancouver, and Montreal. While we’re small in number, we’re beautifully multicultural, with Toronto being known as one the most multicultural cities in the world. 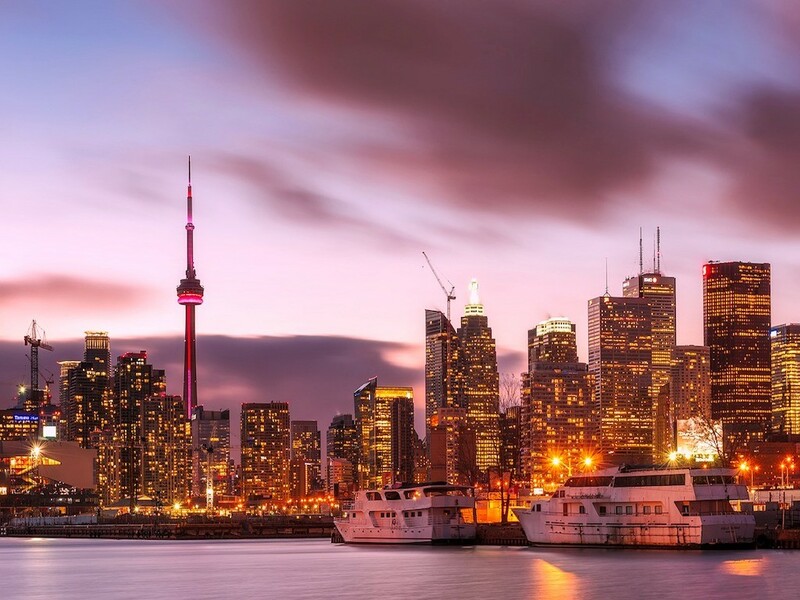 As travellers to Toronto, you can enjoy cuisine from around the globe, and experience all the colourful and vibrant neighbourhoods like Chinatown, Little Italy, and more. 3) Canada has two official languages, English and French. While English is spoken widely across the country, if you’re travelling through Quebec and some other parts of Eastern Canada like New Brunswick, you’re more likely to hear French being spoken. The French dialect spoken in Canada also differs from France, so don’t be surprised if French Canadians speak differently. When the French colonized Canada, their dialect never changed as much it did in France. Friends of mine from France have told me that Canadians speak a very “weird” sort of French and that they find it amusing that we speak such an old dialect. 4) Canada has its own currency, the Canadian dollar. Unlike the coin happy European Union, we’ve done away with our pennies. Our one dollar coin is called the Loonie (named after the bird that adorns one side of the coin) and comically, our two dollar coin is called the Toonie. We’re a cute people who love cartoons – anyone remember Bugs Bunny and his gang in Looney Tunes? Canadian cash is also plastic and almost impossible to counterfeit. While the Canadian dollar is growing stronger at the moment, our currency is still lower than the American dollar and the Euro, so a vacation in Canada will feel like a bargain for some. 5) You can use your plastic everywhere. Be it debit card or credit card, you won’t find much use for cash, as you can pay electronically for anything and everything in Canada, no matter how small the purchase. When home on vacation in April, I never withdrew cash any cash at all, which felt weird after living in Germany for so long where cash is king. 6) Canadians are nice and I mean really nice. If you’re from a more reserved country, it may seem odd and even overwhelming at first. Expect complete strangers to talk to you in public, asking you how you’re doing and providing you with extraordinarily long commentaries on the weather (this may be our favourite topic). Don’t be surprised if a shopkeeper or server in a restaurant calls you sweetie or honey. Everyone says sorry, even when they haven’t done anything wrong. Within the first hour of being home in April, at least five different people said sorry to me for accidentally bumping into me. 7) Americans (and no one else) are often surprised that Canadians use the metric system. Yet, our Southern neighbours have influenced in more ways than we’re willing to admit. While road speeds are posted in kilometres per hour, the average Canadian would not be able to tell you how big their apartment is in square meters or how tall they are in centimeters. 8) Unlike Europe (especially Berlin), we’re not big smokers. Cigarette advertising is banned nationwide. We have graphic labels and strongly worded warnings on packages to discourage the habit. Although the rules vary by province, you can’t smoke inside of restaurants, bars, and clubs. In many cases, you have to smoke several metres away from certain buildings. In Ontario, stores that sell cigarettes are not allowed to display them. Cigarettes are also expensive, with a carton costing anywhere from $25-$40 Canadian. 9) The legal drinking age in Canada is 19 years old and 18 years old in Quebec, Manitoba, and Alberta. In some provinces like Ontario and British Columbia, you can only buy alcohol at government owned stores which have limited hours. You’ll also find that prices for alcohol to be much more expensive than other parts of the world. Don’t be surprised to be asked for photo identification when buying alcohol or trying to enter a bar or club. Drinking in public is against the law as well, so don’t try to plan a romantic picnic in the park with wine. 10) Anyone visiting Canada (with the exception of Americans) need to get an Electronic Travel Authorization (eTA) before entering the country. Even if you’re just transiting through Canada on the way to somewhere else, an eTA is required. Costing only $7 Canadian, you can easily apply, and get the the eTA online. It will be valid for five years. Recommended reading:Do Canadians Need a Visa to Travel to Turkey? 11) We love our Tim Hortons. Tim Hortons is a nationwide coffee and donut shop chain that also has shops in the United States, Afghanistan, and even the Philippines. The franchise was started by a hockey player of the same name (how Canadian is that?). Many Canadians are addicted to their distinct flavour of coffee, as well as their donuts, most notably Timbits – bite sized donuts that resemble a donut hole. Buy a multi-pack and share them with friends. 12) Dress for the weather but don’t overdo it. We’re known for being a Northern snow-filled land, not unlike what lies North of the Wall in Game of Thrones. You might be disappointed to know that we don’t all live in igloos, live in constant fear of being attacked by polar bears, or cross-country ski into work (although in Ottawa, some people skate into work during the winter). In fact, it might even be more warmer than you think. 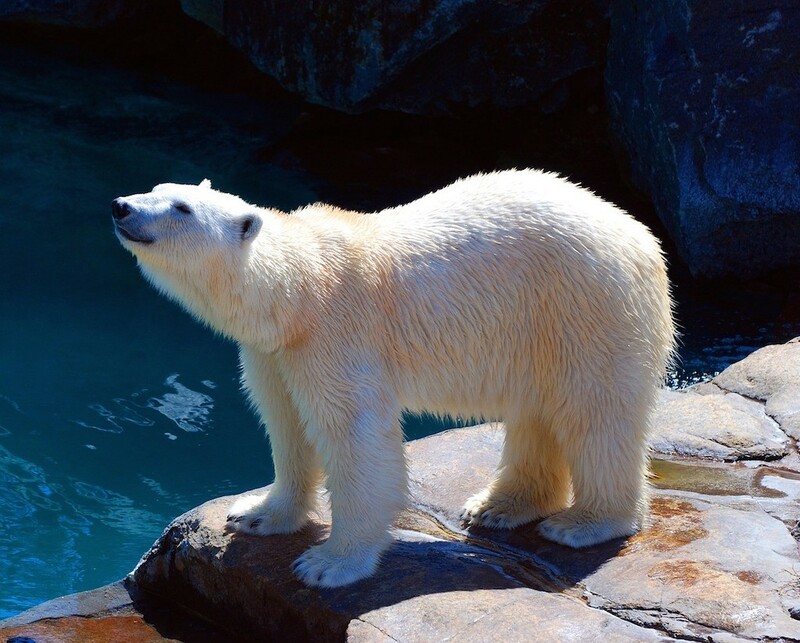 Canada experiences four seasons and depending on what time of the year and which part of the country you’re visiting, you could experience anything from blizzards, to constant downpours, and scorching temperatures with high levels of humidity. Do your research ahead of time and come armed with whatever you need, be it a parka, umbrella, or even a bikini! 13) We celebrate Thanksgiving in October and not November. Unlike our American friends to the South who celebrate at the end of November, we celebrate Thanksgiving on the second Monday in October. Contrary to what you read online, which says we take a moment to rejoice in the past year’s harvest and other blessings, most people enjoy having a long weekend, feasting on Turkey, and fighting with their family. Somehow, we still stun Americans when they find out we don’t celebrate at the same time they do, with the New York Times penning this article last fall. 14) We love our hockey so much, that we even riot over it. This surely can’t be a surprise to anyone, as we’re really well known for our devotion to this expensive, elitist ice sport. While the rest of the world seems to revel in all things soccer, we put our kids in skates at an early age, spend tons of money on classes, training, outfits, etc., and even fight with other parents at game about whether or not our child really deserved that penalty. Even though less than 0.16% of all kids go professional, we live with the illusion our kids will someday play for the NHL. Toronto Maple Leaf fans suffer more than anyone, as the home team hasn’t won the Stanley Cup since 1967, and feverishly swear every year that it’s the year. It’s become such a long running joke, that it’s inspired memes like this. Anyway, it’s our national sport, and watching a game is always fun, especially when the guys drop their gloves, duke it out in a fight, and pull off one another’s jersey. We almost always seem to win Gold at the Olympics, so there’s that too. If you’re in Canada, buy a ticket to a game (that is if the entire season didn’t already sell out in advance), and watch us Canadians go wild. 15) Shops are open on Sunday in most provinces and territories. Depending on where in the world you’re from (I’m looking at you Germany! ), having shops open on Sunday seems weird and even exciting. Imagine not having to feel rushed on Saturday to get your shopping and other errands done before everything closes down for the weekend. Sunday isn’t that special in Canada, as it’s just another day. Head on over to Wikipedia for the details on Sunday shopping policies in Canada and plan accordingly. 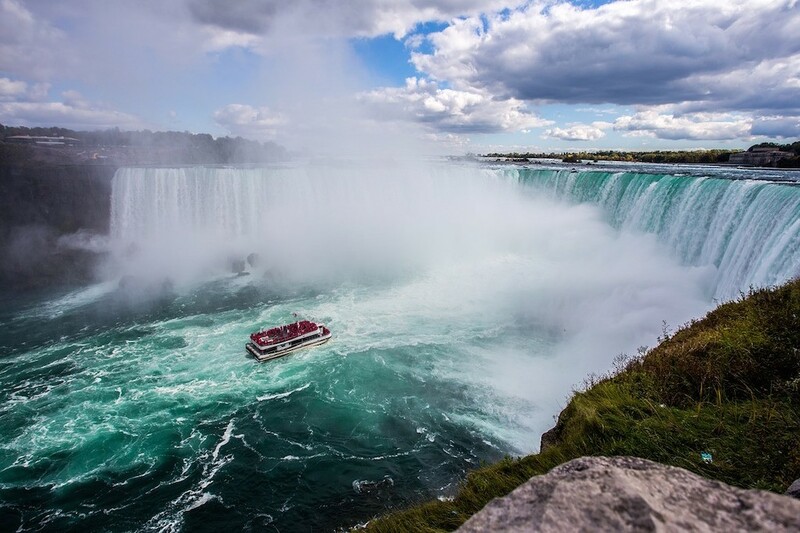 There you have it – our list of what you need to know before you travel to Canada. Did we miss anything? Leave us a comment below. 1) If you need inspiration about how to best experience some of Canada’s renowned nature, read these posts about my canoeing adventures – Canoeing Along the Grand River and Canoeing Through Cootes Paradise Marsh. 2) For some Canadian city break ideas, check – What a Day in Vancouver Might Look Like … If You Were Me and Instagramming A Winterlude Weekend in Ottawa.We also recommend this post from My Five Acres, jam packed full of things to do in Vancouver. 3) Looking for a romantic getaway in the heart of Ontario? Then try Benmiller Inn and Spa in Goderich. 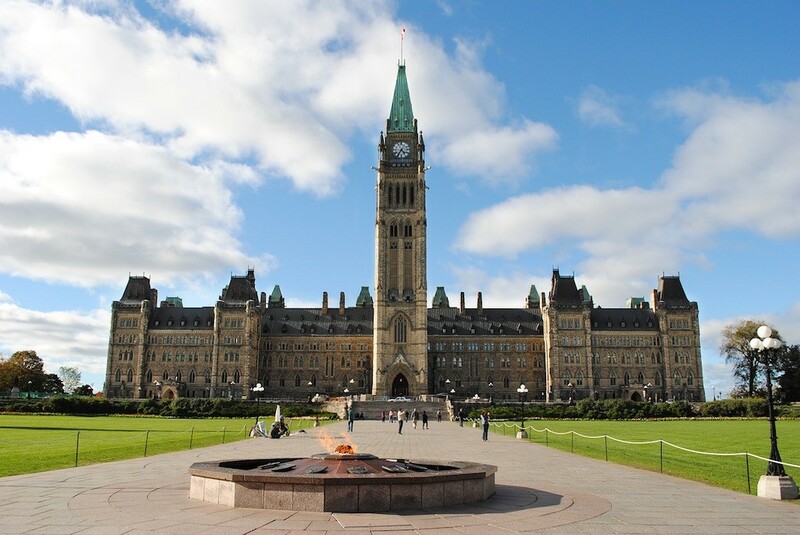 4) Starting in 2015, the Canadian government began a massive electronic surveillance campaign. While it doesn’t affect the average traveller, the 2015 Anti-terrorism Act allows the Canadian Security Intelligence Service (CSIS) to collect and share personal data of anyone quite easily. To avoid this problem, it’s recommended to use a VPN for Canada which masks your online activity. * Disclosure – In order to provide information about travel to Canada and keep you informed about privacy concerns, I collaborated with TechWarn.com. As always, any opinions expressed here are entirely my own. Dreaming of Paris – How About Making Macarons at Le Dolci in Toronto? Get Inspired and Walk Along El Malecón In Havana. Loved this! I haven’t been to Canada yet but it’s definitely on my list. I keep hearing how absolutely gorgeous it is! Nice informative post. Have always wanted to visit Canada, and yeah, I’ve heard they love their hockey much. Thanks. I worked pretty hard to put this list together.